Music has an extremely positive effect on a child’s development in many ways. 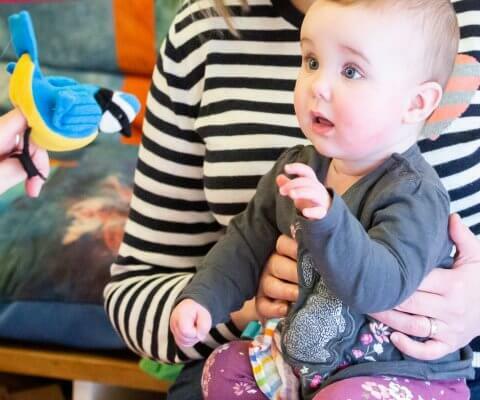 Research has proven beyond doubt that singing and repeating rhymes with movement has an extremely positive effect on a child’s development in many ways. 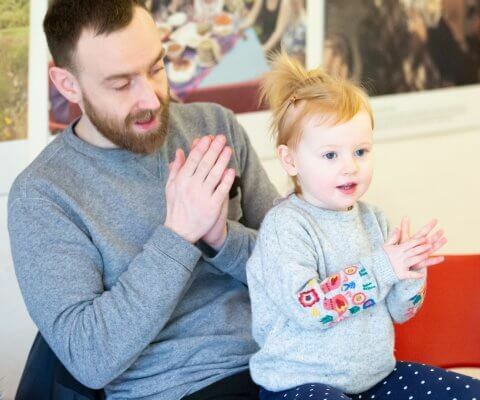 In weekly 40-minute sessions, you and your little one will have the opportunity to make and enjoy music together in a fun and friendly setting in an engaging introduction to music. The emphasis is on fun: tickling games, bouncing songs, play songs and lullabies which bring music to life for our young musicians. It is never too early to start singing with children – they will listen and learn. Want to join Mini Music Makers? These playful sessions are great value and provide some of that quality time between parent and child that can be so precious in today’s busy world. 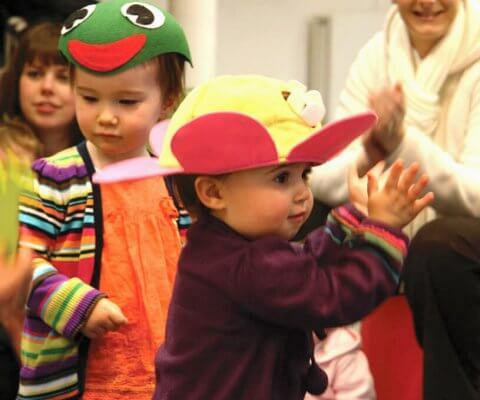 At Mini Music Makers the main emphasis is on learning subconsciously through fun activities. 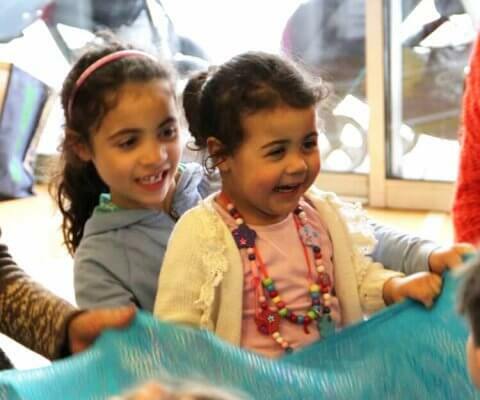 Your child is sure to enjoy participating in circle games with parachutes, singing songs with puppets, tapping drums and shaking shakers with the group. 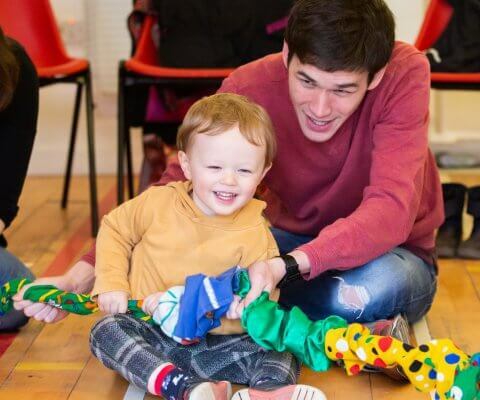 You and your child will learn a range of new bouncing and tickling songs, nursery rhymes and circle games that you can take away and enjoy at home too. The structured NYCOS method offers your child a progressive journey through musical learning. 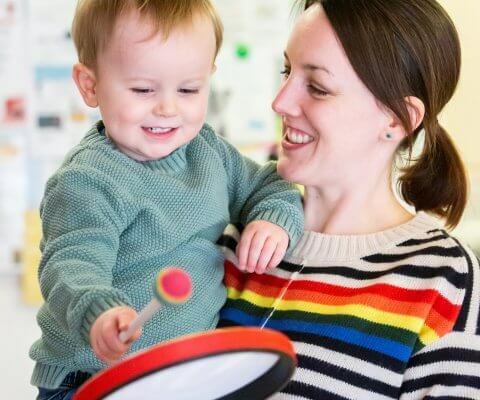 Research in this area has shown that early musical activity can have huge benefits in many areas of child development including language, motor skills, memory and concentration. At Mini Music Makers your child will be given access to these benefits whilst having fun and interacting with other children. 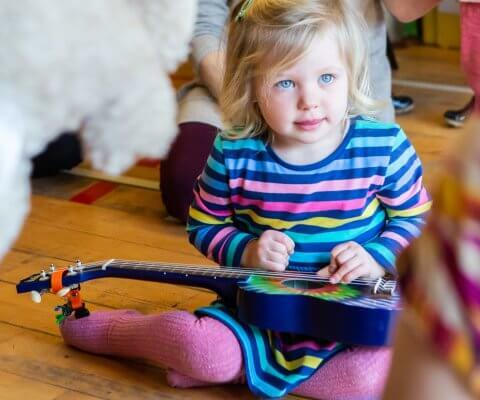 This is not only an opportunity to develop your bond with your child as you explore music together, but it is a chance for you to meet and socialise with like-minded parents of other young children in a relaxed environment. Our enthusiastic class leaders are fully trained in the unique NYCOS method of early years music education, based on the teachings of Hungarian Composer and Educator Zoltán Kodály. Our leaders come from a variety of backgrounds and are a mix of nursery teachers, music specialists and freelance professional musicians. A graduate of Edinburgh University, Mary was amongst the first of a generation of students to be inspired by the Music in the Community course led by Professor Nigel Osborne. She then went on to study Teaching, Performance (cello) and Music Therapy at postgraduate level and has had a varied career incorporating all three. As a parent Mary has enjoyed singing and playing with her daughters and their friends in nursery and toddler groups, and is delighting in watching their musicality blossom. 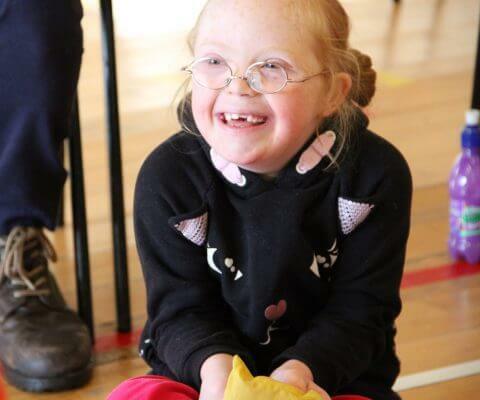 She was introduced to the Kodály approach through attending classes with her daughter and is very excited about being able to share this musical world with other parents/carers and their children.